86 out of 100. Incorporating 500+ ratings and reviews. 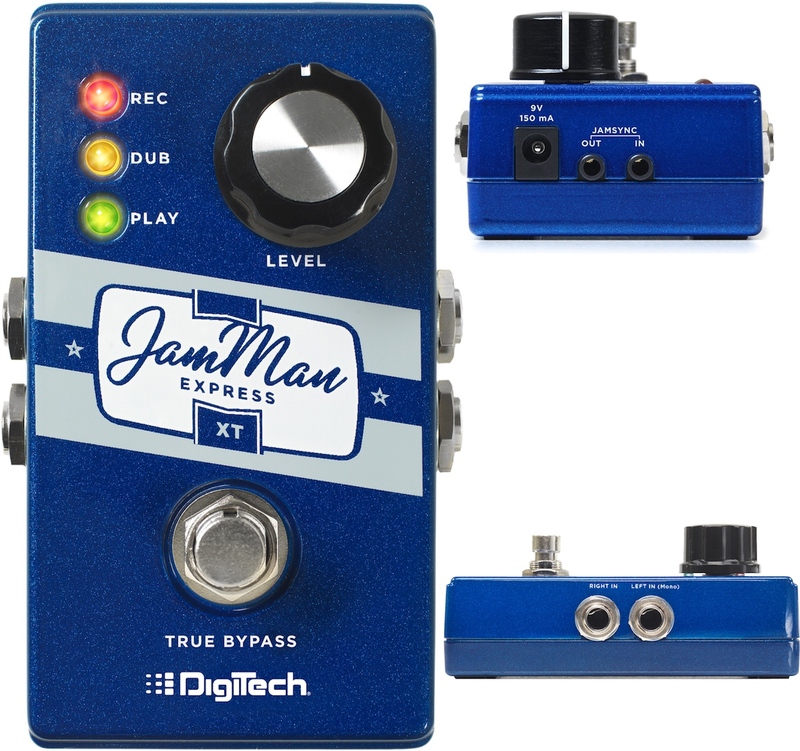 The JamMan Express XT is DigiTech's response to the compact looper hype, with more recording time, stereo input/output and better LED monitoring. Like other small loopers, it has a single footswitch that lets you record, play, overdub, undo and redo a single loop. But it stands out from the crowd with its longer 10 minute total looping time, and dedicated LED lights that let you know whether you're recording, overdubbing or on playback. These extras make it easier to use, and allow for worry free looping when practicing, brainstorming or even when performing. Another nifty feature of the JamMax Express XT is the proprietary "JamSync", which lets you connect it with other JamSync compatible pedals, allowing for in-sync multi-track looping. Experienced guitarists and experts dig the DigiTech JamMan Express XT's functionality and intuitive LED monitoring. Music Radar even gave it a perfect rating, stating that it has it is a great value looper pedal, and a no-brainer addition for any pedalboard. There are a few who had qualms with its performance, most of which point to its lack of DC adapter, and fast battery drain. The JamMan Express XT was on our recommended list of loop pedals until we undertook a major review of the category and published new recommendations in January 2019 in our guide to The Best Looper Pedals - Compact & Multiswitch.